Biography of Professor P. B. Mangla, a living legend in the field of Library and Information Science in India. He served the University of Delhi for about thirty years as an outstanding teacher. He has a distinction of being the first and youngest Professor of LIS in India. The article is in around 6000 words and can be considered as his authoritative biography The highlight of this article is a one hour interview of Prof. Mangla which is embedded in this article itself. Seeing Prof. Mangla speaking in the interview is like listening to the history of Library and Information Science in India as well as around the world, including his experience with library and information science luminaries such as, Dr. S.R. Ranganation, B.S. Kesavan, Mortimer Taube, and Dr. Carl M. White, and his experiences at the Columbia University, New York, association with IFLA, association with University of Delhi, etc. Professor P.B. Mangla had his higher education at three prestigious Universities, viz. Panjab University (Chandigarh), University of Delhi and Columbia University, New York (USA). He obtained his Master’s degree in History from Panjab University, and, degrees in Library & Information Science from the University of Delhi and then Columbia University, New York. At the University of Delhi, he was a student of Dr. S.R. Ranganathan, father of library science and library movement in India. While at Columbia University he had the opportunity to study and do research under the guidance of well- known scholars of the world. He was a Rockefeller Foundation Scholar for his studies at Columbia University during the 1960s. Professor Mangla was a Tagore National Fellow under the Government of India, Ministry of Culture from December 2010 to November 2012. This Fellowship Scheme has been instituted by the Union Government in connection with the 150th Birth Anniversary of the great India luminary Rabinder Nath Tagore. This is a prestigious Fellowship and funded generously to be at par with the basic pay of a Central University Vice-chancellor. Till now he is the only academic who has been honored with this Fellowship in the country in his field of specialization and has been called as a ‘legendary scholar and authority in the field of Library Science’. Earlier, he served the University of Delhi for almost four decades out of which 29 years as a Professor of Library & Information Science. He had the distinction of being appointed as a full-fledged Professor at the age of 36 years which was a matter of real achievement in his career. During his tenure in the University of Delhi he held several senior and prominent positions such as Head of the Department; Dean, Faculty of Arts; Dean, Post-Graduate (Evening) Studies ( which had an enrolment of about 1500 postgraduate students); and, Chairman, Board of Research Studies (H). He was a Member, Court of the University of Delhi almost for three decades, as also, of its Executive Council (EC), and, Academic Council (AC) which are the highest policy-decision making bodies of the University, for several years. He functioned as Chairman, Governing Body, of two prestigious Colleges of the University of Delhi, namely, Deshbandhu College, and Dyal Singh College, for several years. He worked in Iran as an Expert and, in Guyana (West Indies) as a Unesco Consultant for several years. He has already visited about 50 countries for professional consultancy or assignments. In India, he has been closely associated with several Expert Committees/Working Groups, Selection Committees, etc. of the Government of India, State/UT Governments, Planning Commission, UPSC, UGC, CSIR, DST, Universities, and other Public and Private sector organizations. To mention a few, till recently, he was a Member, Research Council, National Institute of Science Communication and Resource Centre (NISCAIR) under CSIR; Working Group on Libraries of the National Knowledge Commission; Board of Management, National Library (Kolkata), Raja Rammohun Roy Library Foundation (RRRLF) (Kolkata), and, presently he is continuing as a Member, Delhi Library Board, and RRRLF. The last three bodies are under the overall charge of the Ministry of Culture, Govt. of India; He was President, Indian Library Association (1981-1983); and Vice- President, IFLA (The Hague) (1985-1991). He has delivered prestigious Lectures in India and abroad and has been honored with Awards, Citations etc., nationally and internationally. To give as an example, in 2003 he was invited by the UNO to be one of the 5 Speakers from different parts of the world for a Conference held at the UNO Headquarters, New York. He was honored with Fellowship by the Indian Library Association (FILA) in 1983 and Membership, the Institute of Information Scientists (M.I. Inf. Sc.) London in 1979. He has published books, research papers, and edited professional journals, in India and abroad. He has a deep scholarship and indeed vast knowledge of the world of books, book publishing (print and non-print) and related trade of knowledge industry. Besides his academic and professional scholarship, Prof. Mangla indeed has a vast experience of educational administration and policy matters at different levels, both in India and abroad, for which he has a commendable expertise. "During my long association with Professor Mangla, I have found him a thorough gentleman with a pleasing personality. His professional knowledge, intelligence, and administrative skills is par excellence. Professor Mangla always shows regard and treats with dignity the senior professionals. He is always polite and courteous to his juniors. He has helped many people in life and shaped the careers of a large number of his students." -- M.K. Jain, Former Chief Librarian, Planning Commission of India. "I was a student of Prof. Mangla in the University of Delhi. He was a great teacher, a scholar and more of an orator than a lecturer. It was a great privilege for us those days to have been taught by a learned and experienced professor in the field of library science. To me he was knowledgeable, energetic and most respected teacher. He set the benchmark of being Head of the Department of a university. He is one of the top known library scientists in India. I consider him the pride of the profession, someone who inspires others to join the profession and reach the heights, where he could go. I have seen him full of ideas and enthusiasm to guide librarians in national and international conferences. He is known in India and abroad for his professional contributions. I wish him good health and many more years of fruitful professional life." -- Kala Anjan Dutta, Director, American Center Library, New Delhi. "Prof. Mangla’s and my relationship goes back 39 years. He has been my principal guide and source of inspiration. He has encouraged me to raise my educational and professional qualification and also my professional work. His humanism has greatly strengthened my personal conviction and goals. I can vividly recall remember that day in 1977, when I first met Prof. Mangla in his office in the Dept. of Library & Information Science, University of Delhi for seeking his help and guidance in preparing myself for an interview for a position in the Delhi University Library System. With his able guidance and blessings, I was selected and joined Ratan Tata Library. With that small interaction, I was so impressed with Prof. Mangla’s passion for the library profession and his sense of human values that I silently nurtured a secret ambition to work with this great man and to treat him a role model, for the rest of my future career. Fortunately, Prof. Mangla got me transferred from Ratan Tata Library to the Department’s library and I have had the unique privilege of working under him in the Department’s library when he was Head of the Department. Prof. P.B. Mangla has established his identity as a teacher par excellence, administrator, and a man of vision & action. He has been one the chief architects of library science education in our country, since the Delhi University pattern has been replicated in the universities that have been subsequently established. He had already become a leading name not only in India but in the world as elected as Vice-President of IFLA, winning laurels with prestigious national and international awards for his outstanding contributions for the development of library science education. One of his greatest strengths is an articulate speaker known for his clarity of thinking and outstanding expression. He is often cited as a very difficult and tough interviewer who always maintain quality and standards in professional selections and never compromise with low quality and standards. Prof. Mangla has always believed that if library system of a country goes wrong, nothing else will go right in the knowledge based society and economy. I firmly believe that his life and works has not only been a source of inspiration to me but to a galaxy of library professionals in the country and abroad." -- Dr. R.K. Sharma, Librarian, United Nations Information Centre for India and Bhutan, New Delhi. Professor P.B. Mangla was born at Chhachhrauli (Haryana) on the 5th July 1936. He comes from a princely state, which was at that time part of Punjab and it was known Kalsia state, and his father was the head of treasury in the state and his grandfather used to be a member of the cabinet of the Maharaja of the state. His early education was in a school in the state itself and after that, the state was merged as one of the states which formed PEPSU in 1948. His father shifted at that time to another princely state which had become part of PEPSU, called Nabha and where he had his further education. He did his graduation and then master’s degree from Punjab University and was a student of master’s degree at Mahindra College, Patiala. He had his higher education at three prestigious Universities, viz. Panjab University (Chandigarh), University of Delhi and Columbia University, New York (USA). He obtained his Master’s degree in History from Panjab University, and, degrees in Library and Information Science (LIS) from the University of Delhi (MLIS) and then Columbia University, New York (MS in Library Science). At the University of Delhi, he was a student of Dr. S.R. Ranganathan, father of library science and library movement in India. Wikipedia (Kalsia): Kalsia was a princely state in Punjab, British India, one of the former Cis-Sutlej states. Wikipedia (PEPSU): The Patiala and East Punjab States Union (PEPSU) was a state of India between 1948 and 1956. It was created by combining eight princely states: Patiala, Jind, Nabha, Kapurthala, Faridkot, Kalsia, Malerkotla, and Nalagarh. Professor P.B. Mangla: "S. R. Ranganathan was my teacher of library sciences at Delhi University in 1954-55. I consider him my mentor. A great scholar, Ranganathan was considered to be the father of library sciences, not only in India but also across the world. Given his accolades in the field, he was invited to Delhi University, by the then vice-chancellor Sir Maurice Gwyer, to start a postgraduate program in library sciences in the year 1946. He wrote around 60 books and was awarded the Padamshree in 1958. I owe him my successful career in library sciences. Though he is no longer alive, I can vividly recollect the days I spent with him. I still remember how he used to provoke students to talk and also, make students listen to him carefully. As a person, he loved, lived, ate drank, and slept library sciences. He devoted his entire life to the field. He held classes at home, more like the modern system wherein the teacher is available 24x7. Even while taking his regular walk down the road, he was often found discussing the subject with his students. Ranganathan’s basic philosophy as a teacher was based on the Indian system of learning, which involved sharvan – listening and studying, chintan – debating, and mannan – assimilation. I can never forget what he said to me when I was leaving for New York in 1961, to pursue a master in library sciences at the Columbia University. He said: “You will be crossing the Atlantic on the way to New York. Leave whatever you have learned here, in India, in the ocean and go with a clean and fresh mind to America so that you can learn new things with a clear mind. And on your way back, collect your baggage from the Atlantic and assimilate it with your learning in America, so that you can put forward and use your new ideas in the right manner her in India.” The crux of his guidance was – Be open to new ideas and be flexible in your approach, so that the best can be achieved. I think it was a privilege being a student of this great teacher known not only nationally, but internationally as well." 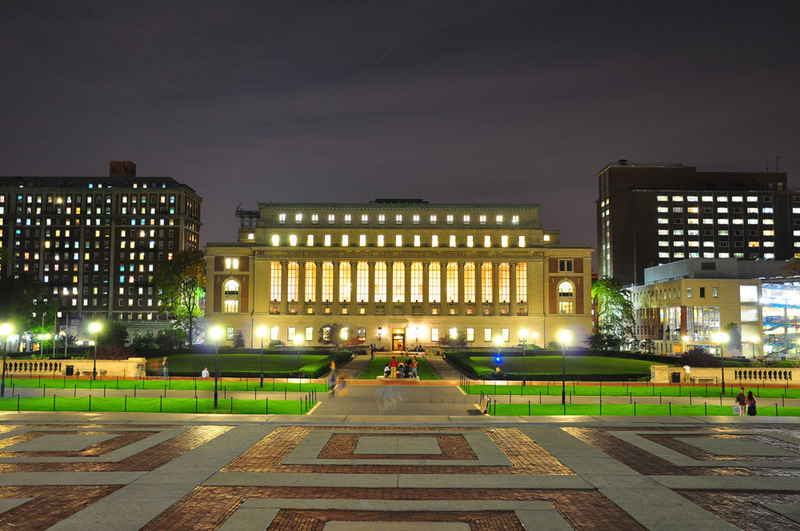 Columbia Library School was established in 1887 by Melvil Dewey himself and was considered to be most prestigious at that time. While at Columbia University (New York) he had the opportunity to study and do research under the guidance of well-known scholars of the world, such as Moris Tauber, Carl White, Professor Mortimer Taube. He was a Rockefeller Foundation Scholar for his studies at Columbia University during the 1960s where he completed his MS in Library Science. Prof. Mangla served the University of Delhi for almost four decades out of which 29 years as a Professor of Library & Information Science. He had the distinction of being appointed as a full-fledged Professor at the age of 36 years which was a matter of real achievement in his career. During his tenure in the University of Delhi he held several senior and prominent positions such as Head of the Department; Dean, Faculty of Arts; Dean, Post-Graduate (Evening) Studies ( which had an enrolment of about 1500 postgraduate students); and, Chairman, Board of Research Studies. He was a Member, Court of the University of Delhi almost for three decades, as also, of its Executive Council (EC), and, Academic Council (AC) which are the highest policy-decision making bodies of the University, for several years. He functioned as Chairman, Governing Body, of two prestigious Colleges of the University of Delhi, namely, Deshbandhu College, and Dyal Singh College, for several years. Presently he is a Tagore National Fellow under the Government of India Ministry of Culture since 2010. This Fellowship Scheme has been instituted by the Union Government in connection with the 150th Birth Anniversary of the great India luminary Rabinder Nath Tagore. This is a prestigious Fellowship and funded generously to be at par with the basic pay of a Central University Vice-chancellor. Till now he is the only academic who has been honored with this Fellowship in the country in his field of specialization and has been called as a ‘legendary scholar and authority in the field of Library Science’. Prof. Mangla did his Master of Library and Information Science from the University of Delhi. At the University of Delhi, he was a student of Dr. S.R. Ranganathan, father of library science and library movement in India. He served the University of Delhi for almost four decades out of which 29 years as a Professor of Library & Information Science. He had the distinction of being appointed as a full-fledged Professor at the age of 36 years which was a matter of real achievement in his career. During his tenure at the University of Delhi he held several senior and prominent positions such as Head of the Department; Dean, Faculty of Arts; Dean, Post-Graduate (Evening) Studies (which had an enrolment of about 1500 postgraduate students); and, Chairman, Board of Research Studies. He was a Member, Court of the University of Delhi almost for three decades, as also, of its Executive Council (EC), and, Academic Council (AC) which are the highest policy-decision making bodies of the University, for several years. He functioned as Chairman, Governing Body, of two prestigious Colleges of the University of Delhi, namely, Deshbandhu College, and Dyal Singh College, for several years. He retired in 2001 after a 29 year-professorship at DU. Member, Court, 1967-68 and 1972 onwards. Member, Executive Council, 1976; 1986-88. Member, Academic Council, 1967-68; 1972-82; 1985-88 and 1994 onwards. Chairman, Standing Committee (Students) of the Academic Council, 1987-88; 1994 onwards. Chairman/Member, U.G.C. Fellowships Awards Committee, 1976-86. Chairman, Governing Body, Deshbandhu College, New Delhi, 1990-94. Chairman, Programme Implementation Committee, NSS since 1989. Chairman, WUS Women's Hostel, 1990-92. Chairman/Member, P.G. Men's Hostel, 1978-84. Member, Governing Bodies of Daulat Ram College, Ramjas College, Sri Venkateswara College, Ram Dayal Anand College, Deshbandhu College, Rajdhani College for varying durations since1976. Chief Election Officer, DUSU Elections, 1992-94. Member, Faculty of Arts of several Universities of India, such as BHU, Kurukshetra University and Panjabi University (Patiala), Dr. Harisingh Gaur University (Sagar), etc. Member, Board of Studies, Board of Examiners, etc. in about 35 Universities such as Madras University, S.V. University, Tirupati University, Kerala University, Andhra University, Mysore University, Aligarh Muslim University, Kashmir University, Panjab University, Panjabi University, Rajasthan University, etc. for different durations since 1972. Member, Selection Committees for Senior Posts including those of Professors, Principles of Colleges, Readers, Librarians, Deputy Librarians, etc. in more than 50 Universities in India. At the national level, during the last about 40 years, there has been hardly any committee, commission, working group, visiting team, panel, etc., which Professor Mangla has not been associated either as a member or chairman. It will not be out of place to mention a few of these which have been benefited by his active participation and professional advice. Member, UGC Visiting Team for the VII Five-Year Plan, 1983-84. Member, UGC Working Group for Improving Library Services in University System, 1982-84. Member, UGC Panel of Library and Information Science, 1977-82, and Convenor since 1991. Member, UGC Review Committee for Kashmir University, 1977. Member, Steering Committee, UGC Information and Library Network Programme (INFLIBNET),1990-94. Member, NIEPA Project Advisory Committee for Developing a Financial Code for University System, 1983-84. Member, Indian National Commission for Co-operation with UNESCO (Government of India), 1981-84. Member, ICSSR Documentation Committee, 1978-93; and 1994 onwards. Member, ICSSR Committee for Development of Information Systems in Social Sciences, 1978-79. Member, Asia-Pacific Network in Social Sciences (APINESS), ICSSR since 1989. Member, Committee for Modernisation of NASSDOC since 1995. Member Secretary, Planning Commission Working Group on the Modernisation of Library Services and Informatics for the VII Plan 1985-90. Member, Planning Commission Working Group on the Modernisation of Library Services and Informatics for the VIII Plan 1988-89 - 1990-95. Chairman, Manpower Development Committee of the National Information Systems in Science and Technology (NISSAT) (Government of India, Department of Science and Technology), 1977-85. Member, Raja Rammohun Roy Library Foundation, Kolkata (Government of India), 1981-83. Member, Committee for National Policy on Library and Information systems and Services of the Raja Rammohun Roy Library Foundation, Kolkata (Government of India), 1982-83. Member, Committee on National Policy on Library and Information System (Government of India, Ministry of Human Resource Development, Department of Culture), 1984-86. Member/Convenor of various Committees, Panels, etc., of the Indian Standards Institution with regard to Library and Information Science, 1977-88. Member, Executive Committee, INSDOC, (CSIR), 1977-79. Senior Vice-President and Founder Member, Indian Association of Academic Librarians, 1978-82. Expert Member for Selection Committees in UPSC, State Service Commissions, Private and Public Sector Organizations, Commonwealth Scholarships, etc. since 1972. Member, Governing Body, Centre for Development of Information Technology (CENDIT), New Delhi, 1984-88. Professor Mangla has been the President of Indian Library Association (ILA) during 1981-83. This period shall be long remembered in the history of ILA because of the spectacular achievements made and innovations which the ILA Executive brought about under the dynamic leadership of its then President. In 1983 he was honored with a fellowship by Indian Libary Association in its golden jubilee celebration. Not only at home but at the international level too, Professor Mangla has been the Member of the Executive Board of the International Federation of Library Associations and Institutions (IFLA) during the period from 1985 to 1991. He was the first Asian to become vice-president of IFLA. From 1987 till 1991, he was the Vice-President of IFLA. In addition, he has been the Special Advisor of the Regional Standing Committee for Asia and Oceania (1986-90) as also a member of the Standing Committee on Theory and Research of IFLA (1983-91). Becoming the Vice-President of IFLA was not only an honor to Prof. Mangla but an honor to the second generation of Indian library professionals as well. As a matter of fact, this was a recognition by the world body about the importance of Indian librarianship which has attained maturity. Professor Mangla is a life member of the ILA, IASLIC, DLA, and IATLIS. He has participated in the working of these national associations actively. Professor Mangal has also participated, presided over, or acted as director of a large number of seminars, conferences, and workshops in India and abroad during the last 40 years. Alice G. Smith Lecture, University of South Florida (USA), April 1992. Ranganathan Memorial Lectures at Vikram University, Ujjain in 1982. Raja Rammohan Roy Library Foundation Lecture in Calcutta in 1985. Guest Speaker, IFLA General Conference held in Chicago, 1985. Presidential Addresses to the All-India Library Conference held at Lucknow (1982) and Mysore (1983), respectively. Invited to deliver Keynote address for Sri Lanka National Library Services Board Silver Jubilee Celebrations, March-April, 1996. Professor Mangla has directed the following prestigious Projects of ICSSR and IFLA. ICSSR Project on Bibliography of Materials on Delhi, 1978-90. IFLA Compendium of Courses in Library and Information Science: Asian Region, 1979-81. As many as five research scholars have already completed their Ph. D. work under his supervision. He is research supervisor and examiner of Ph. D. theses for many universities in India and abroad. A regular contributor of quality research papers in LIS journals of high repute in India and abroad, Professor Mangla has a large number of research publications to his credit. A few of them are worth mentioning. India (in ALA World Encyclopedia of Library and Information Services), Chicago, ALA, 1993. Library Education in India, Pakistan, and Bangladesh, Advances in Librarianship. 10. Chap. VI. pp. 191-238, 1980. Training for Library Assistants, Guyana, UNESCO, 1979. Fifty Years of Librarianship in India: Seminar Papers, Delhi, ILA, 1983. Building Library Collections and National Policy for Library and Information Services: Seminar Papers, Delhi ILA, 1985 (Editor). Ranganation Memorial Lectures, 1982, Ujjain, Vikram University, 1982. Chairman, Board of Editors, Journal of Library and Information Science, Delhi University, Department of Library and Information Science, 1976-92. Member, Editorial Board, Annals of Library Science and Documentation (INSDOC), 1981-83. Member, Editorial Committee, Education for Information (North-Holland, Amsterdam), since 1983. Member, Editorial Committee, International Journal of Reviews in Library and Information Science, River Forest, Ill. (USA), 1983-90. Member, Editorial Board, Third World Libraries, River Forest, Ill. (USA), since 1990. Associate Editor, Libri (Muksgaard, Copenhagen), since 1987. Contributing Editor, Asian Libraries (Bangkok), since 1992. Awarded Fellowship (Honorary) by the Indian Library Association in 1983, as part of Golden Jubilee Celebrations. Appointed as UGC National Lecturer, 1984-86. Shiromani Award for Human Excellence for 1990. IFLA Gold Medal and Citation, 1991. Felicitated by Indian Library Association for contributions to the profession in 1994, as part of Diamond Jubilee Celebrations. Professor. P. B. Mangla served as Tagore National Fellow under the Government of India, Ministry of Culture, from December 2010 to November 2012. This Fellowship Scheme has been instituted by the Union Government in connection with the 150th Birth Anniversary of the great India luminary Rabinder Nath Tagore. This is a prestigious Fellowship and funded generously to be at par with the basic pay of a Central University Vice-chancellor. Till now he is the only academic who has been honored with this Fellowship in the country in his field of specialization and has been called as a ‘legendary scholar and authority in the field of Library Science’. Professor Mangla is a widely traveled person. He has visited as many as 50 countries, such as United States, England, USSR, Afghanistan, China, Denmark, France, Germany, Guyana, Hong Kong, Hungary, Iran, Italy, Kuwait, Malaysia, the Netherlands, Philippines, Singapore, Trinidad, etc. in connection with his professional assignments. While serving the University of Delhi, Professor Mangla went to Iran twice, first as Professor and Head, Department of Library Science of Tabriz University, from 1970-72, and then Visiting Professor at the same Department during 1974-75. And during 1978-79, he served as the UNESCO Consultant in Guyana (West Indies). International Who's Who (Europa Publications Ltd., London), since 1985.
Who's Who in the World (Marquis, Chicago), since 1984. Biographical Directory of On-Line Professionals (Marquis, Chicago), since 1984. India's Who's Who (INFA), since 1980.
Who's Who in India (Bombay), since 1984. Reference Asia (Delhi), since 1989. Biographical Dictionaries of International Biographical Centre, Cambridge (UK), since 1996. Question 1. Sir, please tell us about your early life and education. Was it smooth or did you faced some challenges in your early life and education? How and when you decided to go to the Library and Information Science profession? Question 2. Mangla Sir, How and when you decided to go in the library and information science profession. Question 3. Mangla Sir, can you please tell us a little about your experiences in the University of Delhi. We know that the Department of Library and Information Science at present is considered to be among the finest imparting LIS education in India. Question 4. Sir, Kindly tell us How was the Department of Library and Information Science before you joined and what steps you had taken to improve the quality of education and bring it at par with the international standards. Question 5. Mangla Sir, we are extremely interested in knowing your experiences at the University of Columbia, the Rockefeller Foundation Scholarship and your works there. You had the rare honor of the vice-president of International Federation of Library Associations and Institutions (IFLA) during 1985 to 1991. Please tell us something about your association with IFLA also. Question 6. Mangla Sir, please tell us your experience with library and information science luminaries such as Dr. S.R. Ranganathan, B.S. Kesavan, Mortimer Taube, and Dr. Carl M. White. Question 7. Mangla Sir, your life and contributions to librarianship in India is considered as exceptional and as a role model for library professionals in the country. Please provide us some tips to become a better library professional library professional. Question 8. Sir how do you see the future of libraries and librarianship in our country. What are your opinions about the present status of library and information science education and practice of librarianship in India? 1. Mangla, P. B. Public Library Services in Delhi: Present Status and Development Plan 2010-2020; Raja Rammohun Roy Library Foundation: Kolkata, 2016. 2. Library and Information Science: Parameters and Perspectives: Essays in Honour of Prof. P.B. Mangla; editor, R.G. Prasher; Concept Publishing Company: New Delhi, 1997. 3. YouTube. 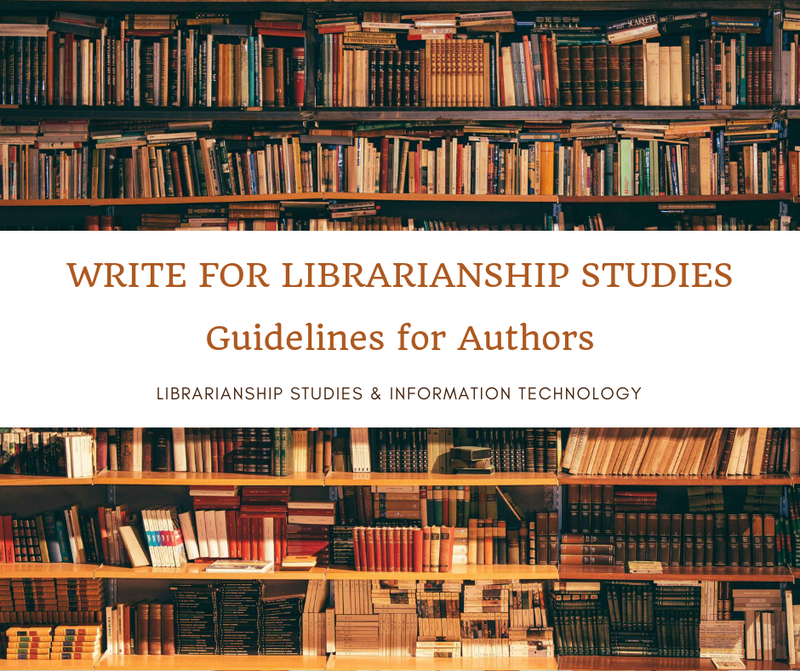 Librarianship Studies & Information Technology. (accessed July 2016). 4. Mangla, P. B. The Times of India, Monday, April 30, 2007. We thank, Dr. R.K. Sharma, Librarian, United Nations Information Centre for India and Bhutan, New Delhi for providing support for the interview of Professor P. B. Mangla.